October 2014 was an interesting month for my “Exchange Unwashed” blog on WindowsITPro.com. I had the chance to write about some new technology (Delve), old technology (Exchange 2003 mega-clusters), bad technology (Chrome bugs), and current technology (various posts). All in all, a pretty productive month. Azure beckons for Exchange DAG witness servers (Oct 31): Microsoft let the cat out of the bag at TechEd Europe and told us that they will support placement of a witness server for a DAG on Azure from January 2015 onward. This will be of interest to folks who have to design and implement stretched DAGs, which is nice, but not perhaps of much interest to anyone else. Office Delve, Exchange mailboxes and even perhaps public folders (Oct 30): This was my second post to cover Office Delve in the month. This time round I wondered what information Delve might be able to extract and display from Exchange mailboxes, including shared mailboxes, site mailboxes, group mailboxes, and even (gasp!) public folders. The fallacy of the workstation File Share Witness (Oct 23): It’s always good to be able to debunk an urban myth. In this case it’s the attempt by some to argue a case that a Windows workstation could be used to host a witness share for an Exchange DAG. An interesting exercise in technology perhaps, but it kind of undermines the whole high availability thing, don’t you think? Why Exchange Online now preserves BCC and DL information in message headers (Oct 16): This post is a little geeky because few people probably care about how Exchange preserves information about BCC and distribution group addressees for messages. But those who deal with the immutability and preservation of messages find this kind of stuff terrifically interesting because they might have to prove the provenance of a message in a law case. The condensed story is that Office 365 doesn’t allow its mailboxes to be used as a journal destination so they had to come up with another way to preserve messages. This is it. Microsoft turns off the last public folder in their internal Exchange deployment (Oct 14): Awww… a deployment which began in 1996 comes to a natural end as Microsoft removes its last public folder. But the real news is that they had to replace public folders with multiple technologies. That might or might not be feasible for paying customers. Google Chrome and Office Servers – the continuing saga (Oct 9): More on my Chrome crusade with details of just how the problems affect users and why Microsoft and Google seem to be screwing up together when they should be really co-operating much better. Email and the evolving state of Office 365 collaboration features (Oct 7): Atos has been trying to reduce the amount of email that employees receive for a few years, perhaps (not being cynical at all) because they sell a collaboration platform that they’d really like their people to use. All of which leads us to a discussion about the collaboration features that are available to Office 365 users, like Yammer, and SharePoint, and even Exchange. Since I published this post, I published an in-depth article on Office 365 Groups that explains how to use this new feature. Memories of Microsoft IT’s 7-node mega-Exchange 2003 cluster (Oct 2): Ten years or so ago we were all terribly impressed when Microsoft told us about their 7-node mega-cluster at events like TechEd and MEC. That was then… has much changed since? 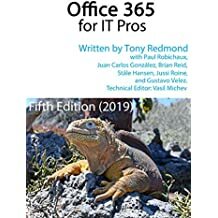 This entry was posted in Exchange, Exchange 2013, Office 365, Technology and tagged Azure, Chrome, DAG, Database Availability Group, Exchange 2013, Office 365 Groups, Office Delve, Office Graph, Outlook Web App, OWA. Bookmark the permalink.